Gerald C Cantu, Ph. D., Education Director, gave a presentation on the Farmworker Movement, and shared the films “Viva La Causa” and “Walk Out” with this year’s Chicano Latino Youth Leadership Project cohort at Fresno State on Friday, June 23rd, 2017. The students participated in an engaging conversation on the importance of youth leadership in the movement. 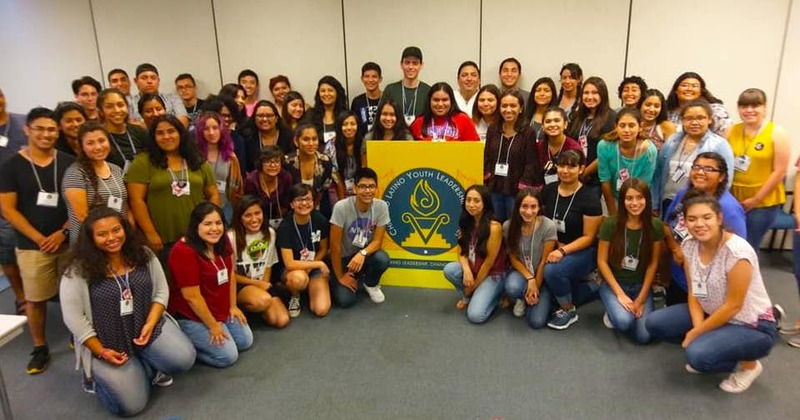 The CLYLP San Joaquin Valley Institute (SJVI) was established in 1999 to inspire and motivate students from the area to become the future leaders of the San Joaquin Valley Chicano/Latino community through public service. Open to 50 students from the San Joaquin Valley, the three-day institute offers an impactful program designed to develop students’ leadership potential and increase their knowledge of the region’s cultural and political landscape. Institute participants connect with education, business, political and community leaders from the Central Valley and receive encouragement in their pursuit of post-secondary educational opportunities.